» Will US Embargo on Art of China & Tibet Be Renewed? Home > Analysis > Will US Embargo on Art of China & Tibet Be Renewed? Will US Embargo on Art of China & Tibet Be Renewed? The Memorandum of Understanding between the People’s Republic of China and the United States government should not be renewed because the Chinese government has failed to satisfy the four prerequisites of the CPIA § 2602 that would qualify it for protection. Proponents of the extension of the MOU point to the continued looting of ancient sites in China and echo the MOU’s goal to disincentivize looting. They argue that further enforcement of the MOU’s import restrictions will sever the chain between supply (in China) and demand (in the United States). They say this is the best way the United States can “help” China curb looting of their cultural heritage. But it is impossible to reconcile the MOU’s import restrictions with the booming market for Chinese artwork and antiquities in Mainland China. The rise in demand for Chinese artwork and antiques in China indicates that the Chinese government sees antiques not as something to be protected, but as something to be commodified and enjoyed by Chinese citizens even as the U.S. on China’s behalf seeks to restrict the supply of such objects to its own citizens. Report after report concedes that the Chinese art market has rapidly become the largest art market in the world. China’s cultural property laws expressly permit the sale of cultural relics that are not already owned by the state. And the past several years has seen China institute new policies and regulations that make it easier than ever to import and acquire Chinese art and antiquities in China—incentivizing demand by increasing the supply. If the original MOU was intended to decrease looting of Chinese cultural relics by severing the supply from the demand in the United States market, how can the Cultural Property Advisory Committee honestly condone China’s efforts to simultaneously stimulate its own market in the very objects it is asking the United States to restrict? Renewal and extension of this MOU would only underscore the tenuous and improper grounds upon which the Cultural Property Advisory Committee has implemented the Cultural Property Implementation Act’s bilateral agreement provisions with respect to China. Under Section 2602 of the Cultural Property Implementation Act (“CPIA”), 19 U.S.C. § 2601 et seq., the United States may grant an agreement, whether by Memorandum of Understanding or otherwise, that implements the importation restrictions of Article 9 of the 1970 UNESCO Convention on the Means of Prohibiting and Preventing the Illicit Import, Export, and Transfer of Ownership of Cultural Property (the “Convention”), but only if four parameters are met. First, the President must determine that the cultural patrimony of the State Party is in jeopardy from pillage. Second, the State Party must have taken measures consistent with the Convention to protect its cultural patrimony. Third, implementation of the import restrictions must be in concert with “similar restrictions implemented or to be implemented within a reasonable period of time, by those nations (whether or not State Parties) individually having a significant import trade in such material” and such restrictions “would be of substantial benefit in deterring a serious situation of pillage.” Finally, application of United States import restrictions must be consistent with the general interest of the international community in the interchange of cultural property among nations. If a bilateral agreement or a Memorandum of Understanding is already in effect, the President shall suspend such import restrictions either if it is determined that the State has not implemented import restrictions within a reasonable period of time or if the State Party has not implemented such restrictions satisfactorily and there has been no substantial benefit to deterring pillage within that State. A. Chinese Objects in “Jeopardy”? Or Objects in Demand? A Memorandum of Understand is only appropriate if the cultural patrimony of the State Party is in jeopardy from pillage. There is no denying that looting in China still exists. There has been evidence of continued looting of tombs and cultural heritage sites in China. In 2016, China’s State Administration of Cultural Heritage reported 103 cases of tomb robbing and theft of cultural relics and some estimate that eight out of every 10 tombs in China have been plundered. In 2016, the Mainland Chinese art and antiquities market saw rapid expansion and growth, with annual revenues estimated close to $12 billion. While sales at New York auctions were falling this year, auction results in Mainland China rose by 20 percent. One reason for the increase has indeed been the “active pursuit of repatriating allegedly looted Chinese antiquities,” but it is also a result of increased Chinese nationalism and a financial strategy, given the “the limited number of investment vehicles” in China. According to a comprehensive study published this year by Artnet and the China Association of Auctioneers, while auction sales in Chinese art and antiques experienced a 5% decline between 2015 and 2016, the auction market in Mainland China saw a 7% increase in total sales value of art and antiquities, reaching $4.8 billion in 2016. Even more curiously, after the enactment of the original MOU with the United States in 2009, the auction market for art and antiques in mainland China experienced a 500% growth between 2009 and 2011, and by 2011, the Chinese auction market surpassed all other countries in the world with $9.3 billion in total sales value. Even in 2014, the year after the MOU’s first renewal, statistics show that the fastest growing import into China was art, antiques, and collector items, which increased at a staggering 2281% rate, while export of art, antiques, and collector items increased by 320% percent. As Chinese popular culture glamorizes tomb-robbing and collectors within China’s own borders continue to demand cultural relics for their private collection, how can China truly assert that it views its “cultural relics” as in jeopardy? For a MOU that restricts the importation of another country’s cultural property to be appropriate, the CPIA requires the State Party to take measure consistent with the Convention to protect its cultural patrimony. The House Appropriations Committee recently reinforced the importance of this requirement to take “significant self-help measures” and guided the Cultural Property Advisory Committee to look to annual expenditures on security and inventory of cultural sites. 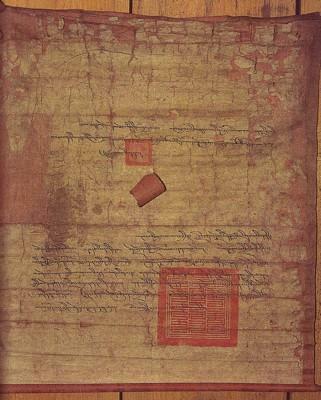 Specifically, the Law of the People’s Republic of China on Protection of Cultural Relics (1982) places under its protection “valuable works of art and handicraft articles dating from various historical period.” Like many Source Nations, the People’s Republic of China declares state ownership over all cultural relics unearthed or discovered within the country’s territories. China ostensibly combats the looting of Chinese cultural sites through harsh penal laws, increased surveillance, and monetary rewards for the return of cultural relics. In September 2017, The State Administration of Cultural Heritage in China announced its intention to “crack down” on tomb-raiding and other crimes that damage cultural heritage. These efforts included a nationwide survey of safety risks to cultural relics, police investigations, random inspections in culturally rich provinces, and the evaluation of a city’s cultural heritage protection when the city competes for economic and cultural recognition. In October 2016, the State Administration of Cultural Heritage previously announced that all cultural relics that were historically looted from China—including those looted during wartime or from illegal excavations— would be banned from being auctioned in China and gave the Chinese government priority in buying cultural relics. However, the announcement failed to acknowledge that the most valuable sales of Chinese antiquities occur in overseas markets, particularly in Hong Kong, but also in London, Paris, New York, where the buyers are more often than not from mainland China. Despite its rhetoric, China’s cultural property law is far more welcoming to private ownership and trade of cultural relics than other source nations and expressly permits Chinese citizens and other organizations to purchase cultural relics from stores, auction houses, and “other lawful channels prescribed by the State.” Nothing in this law prohibits the import of all objects predating the end of the Tang Dynasty (AD 907). Nor does this law prohibit the trade or export of monumental sculpture or wall art great than 250 years old‑the very objects protected under the China-United States MOU. Why then does it become the responsibility of the United States to act as the only line of defense on the import of such objects, when Chinese cultural property law encourages its own citizens to deal in the exact same artifacts denied to American citizens? It seems instead of taking the “significant self-help measures” to safeguard its own cultural property, China appears to be doing everything in its power to monetize its cultural property. Reports indicate that China is making efforts to exclude foreign trade of Chinese art and antiques, and instead consolidate and encourage the trade within China’s borders. Most recently, in January 2016, China’s Ministry of Culture further eased restrictions by issuing “Measures on the Administration of Artwork Trade (MOU Order No. 56).” Under MOU Order No. 56, which came into effect in March 2016, dealers now only need to obtain a standard business license and register with the Ministry of Culture; they no longer need to meet additional departmental requirements. Commercial exhibitors of imported artworks only need to provide information about the content of the art exhibitions; they no longer need to provide details like budget and venue information. Finally, the Ministry of Culture delegated oversight of cross-border art transactions to provincial governments. In 2012, China also reportedly lowered the import tax on certain types of art from 12% to 6% and then again further reduced the text to 3% in 2017. Since 2012, the introduction of free ports and free-trade zones in Beijing, Shanghai, Guandong, Tiajin, and Fujian have incentivized the import of artwork from abroad by permitting storage of artworks free of China’s high import taxes. And Chinese art and antiquity collectors have gotten wise to the free-port system—Collectors are sending objects purchased at auction to free-port warehouses and then “borrowing” the objects for lengthy periods of times, all while avoiding potentially millions of dollars in taxes. China has entered into only two other agreements: one with the Arab Republic of Egypt in 2010, and a 2013 agreement with the Swiss Confederation, however neither agreement employs anywhere close to similar restrictions as the China-U.S. MOU. Under China’s agreement with Egypt, both Parties simply consent to recover and return stolen cultural property from the requesting Party. China’s agreement with Switzerland similarly facilitates the return of looted cultural property, however it expressly states “cultural property may be imported” to the extent that all export regulations allow. Nothing in either the Egypt or Switzerland agreement declares an imminent threat to Chinese cultural heritage nor does either agreement provide a blanket prohibition on archaeological objects from the Paleolithic Period through the Tang Dynasty or monumental sculpture and wall art at least 250 years old. These are hardly “similar restrictions” with “similar benefits” to the import restrictions imposed by the China-U.S. MOU. A Yue Box and Cover, Tang Dynasty, from the Mengdiexuan Collection, sold for HKD 75,000 at Christie’s Hong Kong, October 2, 2017. A small blue-glazed reserve-decorated circular box and cover, Tang Dynasty, from the Dexinshuwu Collection, sold for HKD 60,000 at Hong Kong, October 2, 2017. A bronze ‘Lion and Grapevine Mirror’, Tang Dynasty, from the Yangdetang Collection, sold for HKD 81,250 at Christie’s Hong Kong, October 2, 2017. A gilt-bronze figure of a standing Luohan, Sui-Tang Dynasty, acquired from current owner in Tokyo in 2015, sold for HKD 52,500, at Christie’s Hong Kong, October 2, 2017. A gilt-bronze figure of Avalokitesvara and Stand from the Tang Dynasty, sold for 15,000 HKD ($19,253 USD) at Sotheby’s Hong Kong in June 2017. “An Extremely Rare Pair of Powerfully Carved White Marble Lions Tang Dynasty,” sold for 3,700,000 HKD ($476,116 USD) at Sotheby’s Hong Kong, April 2017. A “magnificent and extremely rare dry-lacquer head of Avalokitesvara from the Tang Dynasty sold in April 2017 at Sotheby’s Hong Kong for 21,700,000 HKD ($2,792,356 USD). Its provenance said it was from a private Japanese collection. ii. More Sales in Mainland China and Hong Kong than U.S. In 2016, the total sales of Chinese art at the top ten auction houses worldwide in were $103,128,363. Of this total, $58,410,762 was sold at four auction houses in Hong Kong, and $46,021,512 in six auction houses in Beijing and Hangzhou in mainland China. The only US auction house to make it into the top ten globally that year was Sotheby’s New York, with only 6% of total market share. Geographical statistics show that together, the Hong Kong and Mainland China markets generally outperformed the US markets with 79% in 2011, 27% in 2012, 55% in 2013, 69% in 2014, 64% in 2015, and 90% in 2016. Even the record-breaking 2017 sale of a Japanese museum’s long held collection of Chinese art at Christie’s NY left the US with only a 54% market share, and the same year, China mainland sales ($69M) and Hong Kong ($56M) more than doubled from the previous year. In the United States, the most recent high-value sales are from long-held and foreign collections. A 2017 spike in U.S. sales of Chinese art resulted from a record-breaking sale at Christie’s, which took 50% of total global auction sales during Asia Week in March 2017, compared to an average of 14.5% Christies NY global auction share over the previous six years. A set of 37 antiquities from or before the Tang Dynasty (AD 618-907) were sold at Christie’s New York on September 14, 2017 as part of “Treasures of the Noble Path: Early Buddhist Art from Japanese Collections” for a sale total including buyer’s premium of $3,922,500 USD. And an ancient (8th-7th Century BC) phoenix-form ewer was sold at Christie’s New York’s “Fine Chinese Ceramics and Works of Art” sale on March 17, 2017. The sculpture was from a private collection and had previously been at auction in New York March 1999. In China, several Tang Dynasty bronze coins were also sold for between 4,370—11,500 RMB at ChengXuan auction house on November 14, 2016. Two Tang Dynasty horse sculptures were offered for sale at the Fine Chinese Ceramics and Works of Art Sale on November 7, 2017 in London. It had previously been offered for sale at Christie’s London in May 1975 and is from a Private English Collection. As the market for Chinese art and antiquities continues to become concentrated in Asia, it is more important than ever that China engage in similar restrictions with its major trading partners such as Hong Kong, before granting an MOU in the United States would be appropriate. China’s voracious internal trade in Chinese art and antiquities continues to remain carefully orchestrated and controlled by its government. The Chinese government has refused access to foreign firms attempting to sell antiquities in China, making room for only Chinese antiquities dealers. Moreover, as set forth more fully in the presentation of the Numismatic Trade, China’s government has also done little, or nothing, to stop Chinese entrepreneurs from producing high quality fakes of U.S. historical coins that are popular with American collectors. Thus, while it asks for U.S. assistance in interdicting common Chinese cash coins of the sort widely collected in China itself, it has allowed its own citizens to counterfeit American currency and prey on unsuspecting American collectors. The CPIA’s requirements seek to effect the interchange of cultural property between nations. Given the Chinese government’s actions to encourage the trade of Chinese art and antiquities only in the Chinese market, renewing the MOU would only foster and promote China’s anti-competitive and isolationist commercial strategies. CCP and GHA respectfully request that the MOU with the People’s Republic of China not be extended in light of the substantial and obvious concerns raised herein. China’s policies and actions not only fail to adequately protect its cultural property; these policies actively incentivize the trade of (and looting) by creating a hungry market for such objects within China’s very borders. The Committee for Cultural Policy, POB 4881, Santa Fe, NM 87502. www.culturalpropertynews.org, info@culturalpropertynews.org. The Global Heritage Alliance, 1015 18th Street, N.W., suite 204, Washington, D.C. 20036. http://global-heritage.org/. Memorandum of Understanding between the Government of the United States of America and the Government of the People’s Republic of China concerning the imposition of import restrictions on categories of archaeological material from the Paleolithic Period through the Tang Dynasty and Monumental Sculpture and Wall Art at least 250 Years Old (January 14, 2009). “Any State Party to this Convention whose cultural patrimony is in jeopardy from pillage of archaeological or ethnological materials may call upon other States Parties who are affected. The States Parties to this Convention undertake, in these circumstances, to participate in a concerted international effort to determine and to carry out the necessary concrete measures, including the control of exports and imports and international commerce in the specific materials concerned. 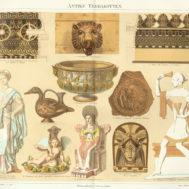 Pending agreement each State concerned shall take provisional measures to the extent feasible to prevent irremediable injury to the cultural heritage of the requesting State.” Convention on the Means of Prohibiting and Preventing the Illicit Import, Export, and Transfer of Ownership of Cultural Property of 1970, Art. 9 (UNESCO). Provinces like Henan, Shaanxi, and Shanxi have been especially hard hit. Amy Qin, Tomb Robbing, Perilous but Alluring, Makes Comeback in China, NY Times, July 15, 2017, https://www.nytimes.com/2017/07/15/world/asia/china-tomb-robbing-qin-dynasty.html?_r=1. ; See also 11 Sentenced for North China Tomb raiding, China.org.cn, July 26, 2017, http://www.china.org.cn/china/2017-07/26/content_41291591.htm. Amy Qin, Tomb Robbing, Perilous but Alluring, Makes Comeback in China, NY Times, July 15, 2017, https://www.nytimes.com/2017/07/15/world/asia/china-tomb-robbing-qin-dynasty.html?_r=1. Deborah Lehr and Katie Paul, The Potential Dark Side of China’s Art and Antiquities Boom, Aug. 12, 2016, https://thediplomat.com/2016/08/the-potential-dark-side-of-chinas-art-and-antiquities-boom/. Deborah Lehr, China’s Art Market is Booming—Just Not for Foreigners, Huffington Post, Mar. 1. 2017, https://www.huffingtonpost.com/entry/chinas-art-market-is-booming-but-not-for-foreigners_us_58b6fb0de4b0563cd36f6399. Artnet and Chinese Association of Auctioneers, Global Chinese Art Auction Market Report 2016 at 9, 13 (2016). Global Chinese Art Auction Market Report 2016 at 12. Between 2009 and 2011 auction sales of arts and antiques overseas had also expanded by 278%. Dezan Shira & Associates, Importing and Exporting in China: A Guide for Foreign Trading Companies at 5 (2015), https://keitercpa.com/wp-content/uploads/2015/07/Importing-and-Exporting-in-China.pdf. Law of the People’s Republic of China on Protection of Cultural Relics, art. 2(2) (1982). Id. at art. 50 (1). Hu Yongqi, Nationwide crackdown set to protect cultural heritage sites, The State Council, The People’s Republic of China, Sept. 23, 2017, http://english.gov.cn/state_council/ministries/2017/09/23/content_281475878270262.htm. Id. ; Xinhua, China strengthens protection of cultural heritage, The State Council, The People’s Republic of China, July 13,2017, http://english.gov.cn/state_council/ministries/2017/07/13/content_281475724530944.htm. Nectar Gan, China bans looted antiques from going under hammer at mainland auction houses, South China Morning Post, Nov. 02, 2016, http://www.scmp.com/news/china/policies-politics/article/2042322/china-bans-looted-antiques-going-under-hammer-mainland. Law of the People’s Republic of China on Protection of Cultural Relics, art. 50. Cultural relic stores must, prior to sale, engage the administrative department for cultural relics to verify the object. art. 56. The only prohibition on sale of cultural relics in China are on state-owned cultural relics, and those “valuable” cultural relics in the collections of cultural institutions. Xinhua, China eases restrictions art imports, exports, ChinaDaily USA, Feb. 3, 2016, http://usa.chinadaily.com.cn/culture/2016-02/03/content_23369886.htm. Global Chinese Art Auction Market Report 2016 at 18. Jason Chow, Chinese Create Tax-Tree Zone for Art, The Wall Street Journal, Mar. 24, 2013, https://www.wsj.com/articles/SB10001424127887323854904578261171833355606. ; Beijing Freeport: China’s capital massive tax-free art storage facility — media round up, Art Radar Journal, Aug. 8, 2012; Global Chinese Art Auction Market Report 2016 at 18; George Chen, Shanghai’s free-trade zone threat to Hong Kong art auctions, South China Morning Post, July 5, 2013, http://www.scmp.com/business/china-business/article/1275544/free-trade-threat-hong-kong-art-auctions. Olivia Geng, Artful Dodge: Why Chinese Collectors Are ‘Borrowing’ Their Own Pieces, The Wall Street Journal, Jul. 28, 2014, https://blogs.wsj.com/chinarealtime/2014/07/28/artful-dodge-why-chinese-collectors-are-borrowing-their-own-pieces/. Agreement between the Federal Council of the Swiss Confederation and the Government of the People’s Republic of China on illicit Import and Export and Repatriation of Cultural Property (entered into force on January 8, 2014), http://www.unesco.org/culture/natlaws/media/pdf/switzerland/sw_ba_china_13_entof. Id. at Art. II (1). Census and Statistic Department, the Government of the Hong Kong Special Administrative Region, Hong Kong Monthly Digest of Statistics: Trade between Hong Kong and the Mainland of China, June 2016, http://www.statistics.gov.hk/pub/B71606FC2016XXXXB0100.pdf. Both the Special Administrative Regions of China. Hong Kong and Macao (another market for Chinese art and antiques) accepted the 1970 UNESCO Convention on November 28, 1989. Keun-Gwan Lee, An Overview of the Implementation of the 1970 Convention in Asia at 3 (2012) http://www.unesco.org/fileadmin/MULTIMEDIA/HQ/CLT/pdf/Lee_en.pdf. http://www.sothebys.com/en/auctions/ecatalogue/2017/curiosity-iii-hk0723/lot.3062.html ((From the collection of Honorable Senator Hugh Scott). As the artworks from older Japanese Collections, they were out of China and therefore perfectly legal to sell at auction in the United States. “Treasures of the Noble Path: Early Buddhist Art from Japanese Collections,” Christie’s, Sept. 14, 2017, http://www.christies.com/SaleLanding/index.aspx?intsaleid=27566&lid=1&saletitle=&pg=2&action=paging&sid=fee1e0de-cf4e-40ef-ad68-667e0970969e. “Lot 1017: A Very Rare Small Bronze Phoenix-Form Ewer,” Christie’s, http://www.christies.com/lotfinder/lot/a-very-rare-small-bronze-phoenix-form-ewer-6063762-details.aspx?from=searchresults&intObjectID=6063762&sid=5c73da49-a9f6-439f-a70b-cb84144af4f7. See, e.g. “Lot 1542: Tang Dynasty, “Qian Fung Quan Pao” Bronze Coin, Dia. : 27mm, Rare, XF,” http://ichengxuan.com/antiques/104795/search_page/ (sold for 6,900 RMB); Lot 1543: Tang Dynasty, “De Yi Yuan Pao” Bronze Coin, Dia. : 36mm, XF,” http://ichengxuan.com/antiques/104796/search_page/, (sold for 11,500 RMB); “Lot 1544:Tang Dynasty, “De Yi Yuan Pao” Bronze Coin, Dia. : 36mm, XF,” http://ichengxuan.com/antiques/104797/search_page/ (sold for 10,350 RMB); “Lot 1545: Tang Dynasty, “Shun Tian Yuan Pao” Bronze Coin, Dia. : 37mm, XF,” http://ichengxuan.com/antiques/104798/search_page/ (sold for 4,370 RMB). “A Sancai-Glazed Pottery Figure of A Horse, Tang Dynasty (AD 618-907), Christie’s, Nov. 7, 2017, http://www.christies.com/lotfinder/lot/a-sancai-glazed-pottery-figure-of-a-6105909-details.aspx?from=salesummery&intobjectid=6105909&sid=24b77cb5-93dc-4c06-9be9-cd52f5d93381 (selling at GBP 10,000, originally form a private English collection); “A Large Painted Potter Figure of a Horse, Tang Dynasty (618-907),” Christie’s, Nov. 7, 2017, http://www.christies.com/lotfinder/lot/a-large-painted-pottery-figure-of-a-6105910-details.aspx?from=salesummery&intobjectid=6105910&sid=24b77cb5-93dc-4c06-9be9-cd52f5d93381 (selling at GBP 18,750, property of a European Gengleman, from a private European Collection). Indeed, the largest auction house in China is the Beijing Poly International Auction Co., which is part of a state-owned enterprise known predominantly for arms dealing. Deborah Lehr, China’s Art Market is Booming—Just Not for Foreigners, Huffington Post, Mar. 1. 2017, https://www.huffingtonpost.com/entry/chinas-art-market-is-booming-but-not-for-foreigners_us_58b6fb0de4b0563cd36f6399; Barbara Pollack, China’s Growing Auction Giant, Art News, Oct. 21, 2013, http://www.artnews.com/2013/10/21/chinas-growing-auction-giant/.